If I'm not mistaken, this one is from the new NGE artbook by Sadamoto. Thank you for sharing! This goes for mi iphone wallpaper! Nice scan. Thank you for sharing! she is just so stunning. great work. Very good scans, keep sharing. I think this is my fav. Rei Ayanami scan. She seems so angelic and innocent. I love it. The pic of Rei I've been looking for! mbeckley:I think this is my fav. Rei Ayanami scan. She seems so angelic and innocent. I love it. 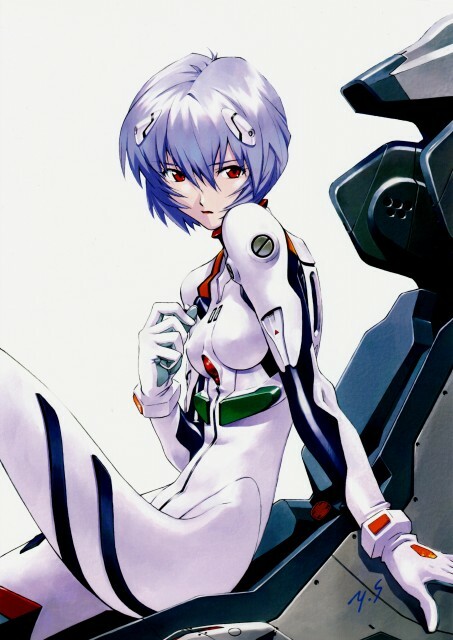 Rei Ayanami linda como sempre!